Preferred Access to our Bars & Restaurants! You are in the double standard room. 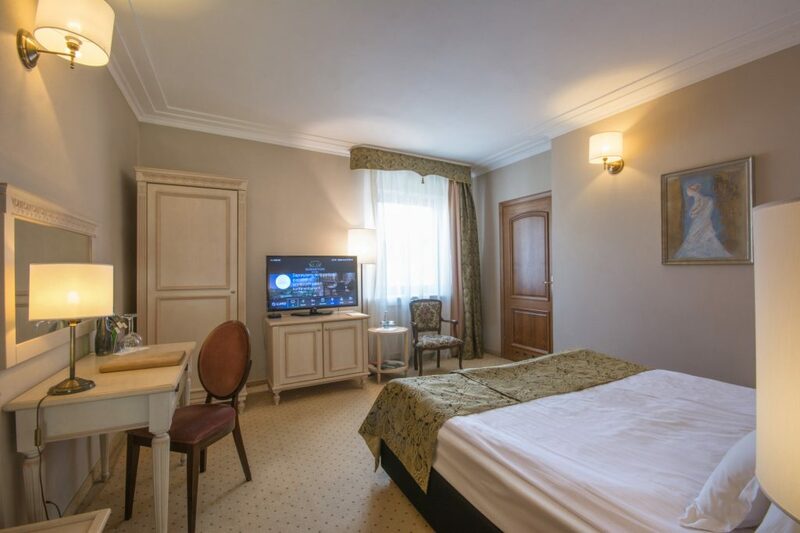 Welcome to Double Standard Room in Rubinstein Hotel! This type of room is about 18m2 of space, with comfortable bed, situated on floors 1-5. 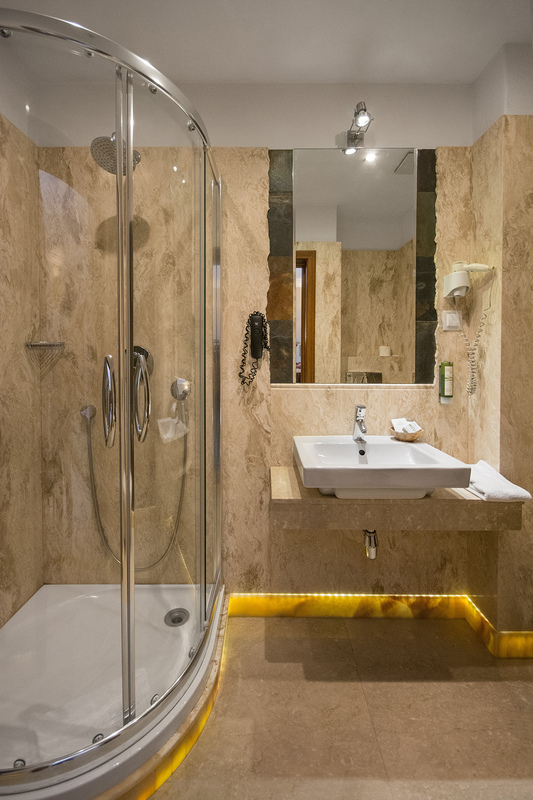 It is equipped with a beautiful marble bathroom with illuminated pedestal and comfortable shower or bathtub. Each room has free wi-fi access. You can freely adjust the air temperature and floor temperature in the bathroom. For more information and inquiries please contact our reception.